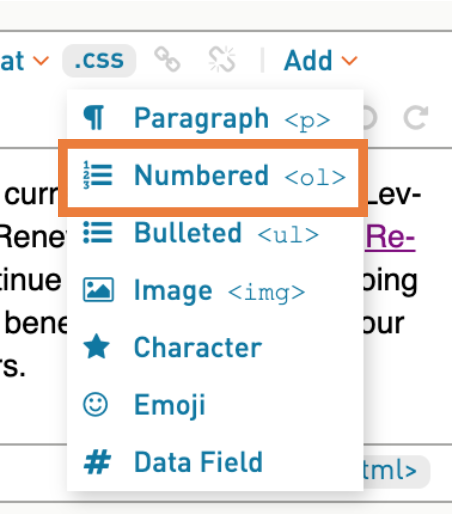 Add a list or bullet points to any text block in Modern Editor using Add > Ordered list or Add > Unordered list. What's the difference between an ordered and unordered list? In HTML you can have two types of lists: ordered lists and unordered lists. In the HTML an ordered list is defined with an 'ol' tag and the unordered list is definied with a 'ul' tag. 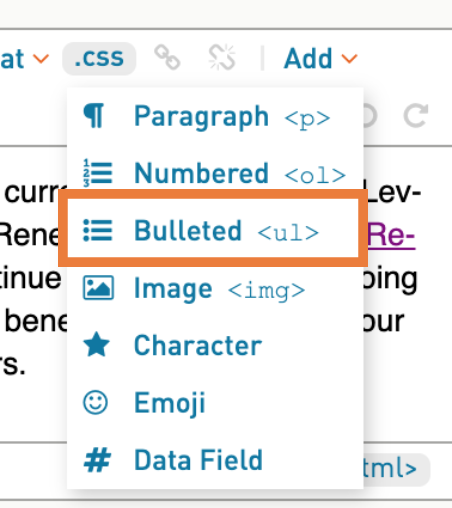 On the front-end, an ordered list uses numbers for each point and an unordered list is simply what we would call bullet points. 3. Place your cursor in the text block where you would like the list to start. 4. Click on 'Add > Ordered list' or 'Add > Unordered list'. 5. Start typing your first point and click enter/return to add another list item. You can update the look of your ordered lists (ex, 1. 2. 3. ) or unordered lists (ex, bullet point) by adjusting the styles. 4. Select 'List item' under typography. 5. Edit the styles of your list or bullet points here. 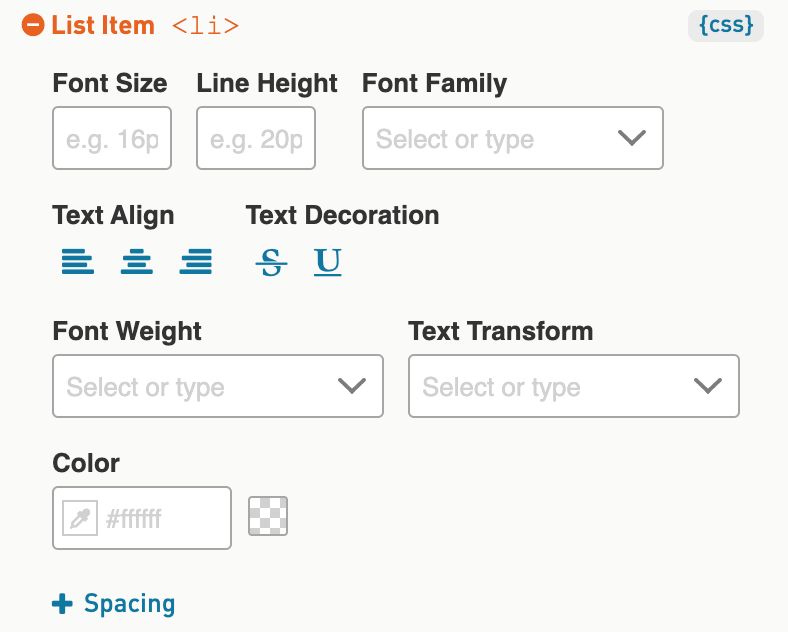 Adjust font, line height, color, and alignment as desired. Margin and padding can be adjusted under '+Adjust spacing'. 3. 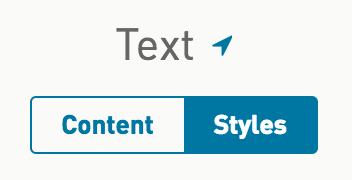 Click on the STYLES tab on the edit content panel (left side). 4. Select List item under typography. Changes here will only update the list item in this text block.